Down 4 next to last inning, runners on 1st and 2nd no outs, contact hitter at the plate, what do you call? Anonymous asked: Down 4 next to last inning, runners on 1st and 2nd no outs, contact hitter at the plate, what do you call? Rick answered: Great situation! All of us in baseball as players, coaches, parents and fans live for these situations that arise in the game. Where do you go with this particular situation? The decision process begins with your last defensive out, as you assess what is coming up in your last 6 outs. 1. How easily have you scored runs so far? 2. Are you ok with cutting the lead in half with the first three outs, or do you feel you need more in those 3 outs? 3. Where are you in your batting order, top, middle or bottom? a. 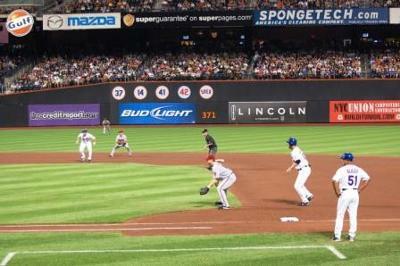 Can you double steal the two bases, then hit away? b. Do you feel you have to bunt and move them up? c. Can you hit and run or bunt and run to get something going? d. Are your hitters coming up and you can just go to hitting and hope they can get it done. coaching philosophy. One of the interesting things about baseball is, even with all the information processed and a decision made, the result may not be what was hoped for. That is what creates the excitement. As they say in Vegas,"you pay your money and you take your chances!" Philosophically myself, I believe in making the other team play the game. Sitting back and waiting to string some hits together is a hard way to go. Ty Cobb's philosophy was, "A defensive play was at least 5 times as difficult to make as an offensive play. The potential was there for an unassisted fielder's error, a bad throw, a misplay from a bad hop of the ball,the shielding of the ball by the runner and a mix up of responsobility between two infielders or two outfielders. On offense you had fewer ways to fail after putting the ball in play. Therefore: Attack with confidence the odds are with you. Attack, attack - always attack." Making the other team think on the run, move to cover bases, make throws and catches under pressure, increases my odds they will make a mistake or two. Once they do, now they begin to have mental situations to overcome as well, and you have the opportunity to create that proverbial snowball rolling downhill. You were looking for two runs but created a blowout inning. Good luck as you go forward.